As more and more cities and municipalities are struggling to solve their fiscal problems, they are increasingly turning to agressive enforcement and raising taxes. In New York City, fines for parking violations start at $65 and go all the way up to $165. Given that in 2008 NYC issued 10 million parking tickets and collected $624 million in parking fines, it's not surprising that many signs are ambiguous and aggressively enforced. As former mayor Ed Koch noted: "You have to be a Talmudic scholar to understand all the parking rules". The municipalities' war on their own residents and resident businesses is not only limited parking tickets. 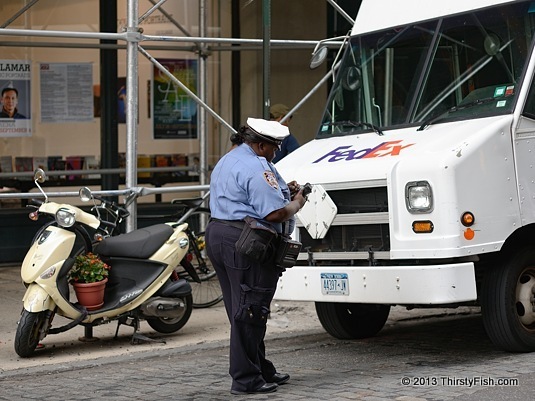 In NYC police are secretly pressured by ticket quotas to find traffic violations. In towns and cities all across the U.S., property taxes are being hiked. Again in NYC, income taxes are between approximately 7% to 12.5%. And it costs a fortune to get in and out of and around the city. Tolls on bridges and tunnels as well as subway fares keep rising. Queens NY, San Francisco CA, Honolulu HI, Brooklyn NY, and Manhattan NY are the top 5 cities with the highest cost of living. A New Yorker would have to make $123,322 a year to have the same standard of living as someone making $50,000 in Houston, or a $60,000 NYC salary is equivalent to someone making $26,092 in Atlanta. Other cities are catching up; Atlanta residents were recently outraged by skyrocketing water bills running into thousands of dollars a month. One would think, federal and local governments are instituted to serve and protect the people, not to milk them dry. Every year, new sets of laws, regulations, ordinances are added, ever-complicating life, deceiving us. Using Ed Koch's analogy: We all need to be Talmudic scholars to understand municipal laws and ordinances.